Founded as the Richmond Male Orphan Society in 1846, Virginia Home for Boys and Girls now operates as a comprehensive, nonprofit child and family services organization. It is said that on the day after Thanksgiving in 1845 a young homeless boy came begging for food at the doorstep of an asylum run by the Female Humane Association, one of Richmond’s few orphanages. Frustrated that the asylum only served homeless girls, the director encouraged her husband and other men in the community to consider establishing and orphan society for destitute boys. By May of 1846, the first board meeting for the Richmond Male Orphan Society took place, followed thereafter by a charter from the Virginia General Assembly making them officially open for business. Richmond Male Orphan Society chartered by the General Assembly of Virginia. Name changed to Richmond Home for Boys. Home moved to its present location in Henrico County. John G. Wood School alternative school opened. Name changed to the Virginia Home for Boys. Youth Emergency Shelter opened to serve boys and girls needing crisis care. First day student from Henrico County’s Department of Social Services arrived at JGW. New shelter building constructed at present location on Pump Road. JGW took the lead in forming the Richmond Alternative School Sports League (RASSL)which continues to thrive today. Four girls began attending JGW. Teaching-Family Model of care adopted as our residential program model. First of six Teaching Family Homes built specifically to TFM standards. Girls were admitted to the residential program. 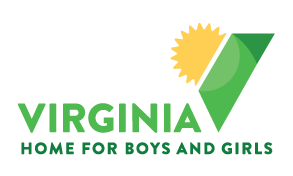 Name changed to the Virginia Home for Boys and Girls. New JGW building was constructed. JGW expanded to include Wood II, self-contained classrooms with a 1-5 teacher-student ratio. Enrollment of the first kindergarten through fifth grade students began the elementary program. And, a Therapeutic Resource Center is added.